The 2015 Volvo S60 sedan goes toe-to-toe with BMW, Audi, Mercedes-Benz and Lexus with two new 4-cylinder engines. 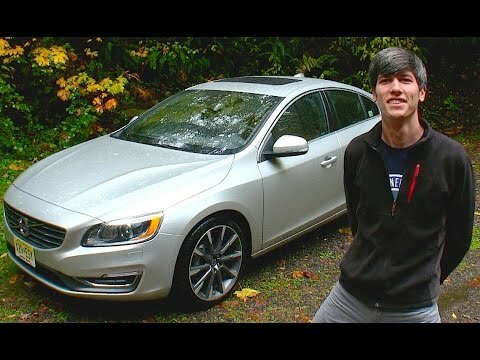 Strong points for the S60 include a stunning exterior (refreshed last year), a welcoming interior, brisk performance, and Volvo's reputation for the utmost in safety. I love my Volvo & will definitely buy another Volvo. My Volvo is very reliable. It is also very comfortable, roomy, and has a lot of power. There are 2 things that are, however, annoying about my car. One, when the temperature changes, the tires lose air pressure and I have to go to the dealer or a tire place to get air in them. This happens 7-8 times a year. Once the pressure dropped so much that the tire blew. And two, I wish I had a backup camera. I miss that from my old car. This car is incredible! I drove it across the country twice and it didn't falter for second. Even when we went across the 118* Arizona summer desert, it ran cool and smooth the entire time. We averaged almost 31 mpg for the trip with premium fuel and would definitely recommend premium for it. The car drives beautifully and was worth every penny. Volvos are awesome, and worth every penny. It's a Volvo, great on the roads in all conditions. Very powerful and fun to drive. Not to mention it is very cool looking and attracts the right attention. My Volvo has a lot of bells and whistles. It is also great for passengers. The back is very comfortable and has all the comforts necessary, plus plenty extras. Very spacious.